Toys 'R' Us files for bankruptcy protection in Canada, U.S.
Toys "R" Us, the big box toy retailer struggling with $5 billion in long-term debt, has filed for Chapter 11 bankruptcy protection in the U.S. ahead of the key holiday shopping season, saying it will continue its normal business operations. The company based in Wayne, New Jersey, announced late Monday that it was voluntarily seeking relief through the U.S. Bankruptcy Court for the Eastern District of Virginia in Richmond. The company's Canadian division also said Tuesday after the close of stock markets that it had launched its own voluntary reorganization proceeding under the Companies' Creditors Arrangement Act (Canada) in the Ontario Superior Court of Justice in Toronto. The company said its 82 stores across the country will remain open during the process. Toys "R" Us said court-supervised proceedings will help restructure the outstanding debt and set the stage for long-term growth. The company announcement also said separate operations outside the U.S. and Canada are not part of the filings. And it emphasized that its stores worldwide will remain open and that it will continue to work with suppliers and sell merchandise. "The company's approximately 1,600 Toys R Us and Babies R Us stores around the world — the vast majority of which are profitable — are continuing to operate as usual," the company statement added. "Customers can also continue to shop for the toy and baby products they are looking for online." Dave Brandon, company chairman and CEO, said that the court filing provides a path for the company and its investors to work with its debtholders and other creditors to work on restructuring the debt beleaguering the pioneering toy retailer. "Together with our investors our objective is to work with our debtholders and other creditors to restructure the $5 billion of long-term debt on our balance sheet, which will provide us with greater financial flexibility to invest in our business ... and strengthen our competitive position in an increasingly challenging and rapidly changing retail marketplace worldwide," he said in the announcement. The move comes at a critical time ahead of the peak holiday shopping season that is crucial to retailers' bottom lines. Brandon expressed confidence in the looming reorganization, vowing that the iconic Toys "R" Us and Babies "R" Us brands known to shoppers for generations would continue on. In a separate statement, the company also said its online sales sites worldwide remain open for business during the court-supervised process. It added that the company's operations outside of the U.S. and Canada, including operations in Europe and Australia as well as some 255 licensed stores and joint venture partnership in Asia — all separate entities — were not part of the Chapter 11 filing or the parallel Canadian move. The company has nearly 65,000 employees worldwide and bills itself as a leading global retailer of toy and baby products. Merchandise is sold through 885 Toys "R" Us and Babies "R" Us stores in the U.S., Puerto Rico and Guam, and in more than 810 international stores and over 255 licensed stores in 38 countries and jurisdictions. Toys "R" Us Canada sought creditor protection largely due to the financial woes of its U.S. parent company, which filed for bankruptcy, but consumers may still be wary of its Canadian stores due to the hit to the global brand's reputation, experts say. 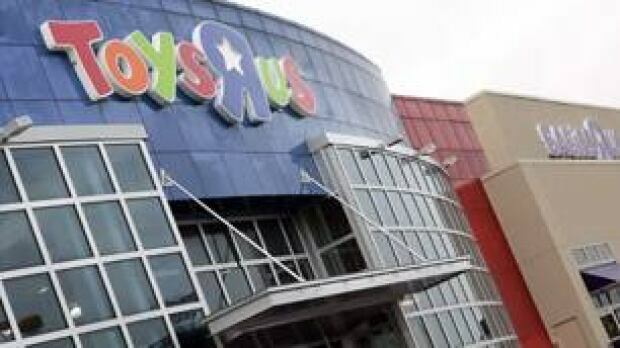 Retail analyst Bruce Winder says Canadian consumers may hesitate to shop at Toys "R" Us this fall, worrying about whether they will be able to access product warranties or return items in the coming months. "What customers hear is that Toys "R" Us is in bankruptcy protection, or going bankrupt," said Winder, who is the co-founder and partner of Retail Advisors Network. "They won't be able to differentiate that Canada or the U.S. is profitable." Toys "R" Us Canada was granted creditor protection in Ontario Superior Court under the Companies' Creditors Arrangement Act on Tuesday, one day after Toys "R" Us started bankruptcy proceedings south of the border. The Canadian subsidiary said in court documents filed Tuesday that it is performing well financially, with net earnings doubling and sales revenues increasing at a compounded annual rate of 5 per cent over the last three years. The Canadian arm, operating legally under the name Toys Canada, does not have any obligation to its parent company's Chapter 11 debtors, it added. However, the bankruptcy proceedings south of the border resulted in a default and termination of the company's loan facilities – including the main source of financing for Toys "R" Us Canada, the filings said. In turn, the Canadian subsidiary was required to repay the outstanding loans, which it is not in a position to do. "Toys Canada has been cut-off from its primary source of financing during the midst of its inventory build for the holiday season," it said in the court documents. "Without creditor protection and access to 1/8 debtor-in-possession 3/8 financing, Toys Canada will lack sufficient liquidity to operate its business in the normal course within approximately two weeks." Toys "R" Us Canada has now secured interim debtor-in-possession financing from a new group of lenders led by JPMorgan Chase Bank, including a US$200-million term loan and US$300-million revolving credit facility, it said. The Canadian subsidiary says the "breathing room" afforded by the creditor protection and new financing will facilitate continued operation of its 82 stores across Canada, as well as its e-commerce websites, as the company restructures. Melanie Teed-Murch, president of Toys "R" Us and Babies "R" Us Canada, said in a statement on Tuesday that it would continue to honour all gift cards, warranties and returns as normal. "The restructuring is intended to facilitate the continued success of our iconic brands; building a stronger company for our customers, business partners and team members.... We are confident that this process will enable us to leverage Toys "R" Us' existing strengths to succeed." The retailer's Canadian arm was already feeling the pinch from its U.S. parent company's struggles before initiating proceedings on both sides of the border. Toys "R" Us Canada said in the court filings that a number of its suppliers have recently "sought to reduce their potential exposure" by "requiring deposits, cash on delivery or compressed payment terms." Winder says vendors may also start to ship reduced amounts to the retailer in a bid to protect themselves, resulting in thinner shelves and further sending a negative signal to customers. Alfonso Nocilla, a law lecturer at the University of Western Ontario, also said the toy chain's Canadian arm may be impacted by "potential damage to the brand name" as the company goes through the restructuring process. Still, although the toy chain's U.S. parent company may try to tap assets in Canada to pay off its creditors, it will want to avoid disruption in its Canadian subsidiary, he said. "To the extent that the Canadian operations remain profitable, and that the stores are doing well, practically speaking... they're going to want to protect that and enhance that." This file photo shows customers in front of the Toys "R" Us Times Square flagship store in New York. Retailer Toys "R" Us has filed on Sept. 19, 2017 for Chapter 11 bankruptcy protection in the U.S. and Canada. Toys "R" Us Inc has been making $400-million in interest payments on its debt every year, largely due to its $6.6-billion leveraged buyout in 2005. This week, it succumbed to its debt burden, leading to the biggest bankruptcy of a U.S. retailer since that of Kmart in 2004. The largest U.S. toy retailer's decision to file for Chapter 11 bankruptcy protection on Monday took investors by surprise, given that the company faced no imminent debt maturities and had managed to overcome financial stress in the past by securing concessions from its creditors. But the company's ability to kick the can down the road had been exhausted. The bankruptcy filing was the culmination of an unsuccessful seven-month effort by Toys "R" Us to find relief from its $5.2-billion debt pile, according to bankruptcy court filings and people familiar with the deliberations. The advisers that Toys "R" Us hired to fix its capital structure explored at least two deals with some of its creditors to raise money that would have helped the company stave off bankruptcy before the key holiday shopping season, avoiding a supply chain disruption stemming from vendor fears about repayment, a bankruptcy filing shows. The Wayne, New Jersey-based company's creditors' unwillingness to show any more leniency underscores the lack of confidence by investors in the troubled brick-and-mortar retail sector, which has been pummelled by the rise of e-commerce companies such as Amazon.com Inc.
Toys "R" Us was looking to raise at least $200-million to make it to January, at which point it could work on fixing its entire capital structure, according to court filings. Over the years, Toys "R" Us had been able to win other short-term fixes from creditors, even as its financial performance deteriorated. Once the company realized that it could not secure financing to get through the holiday season, the objective became "let's get it done as quick as possible so it does not interrupt the holidays," Toys "R" Us Chief Executive Officer David Brandon told Reuters in an interview. Filing for bankruptcy allowed the company to secure financing to continue to operate its stores. Given that "we successfully obtained our debtor-in-possession financing today, we can assure our lenders that we are in a good position to accept shipments on a normal basis and they have great assurance they will be paid," Brandon said. Like other retailers that own their stores, Toys "R" Us tried last month to tap its vast real estate portfolio to raise money in a sale-leaseback transaction, according to court filings. Sale-leaseback deals allow retailers to raise cash by selling real estate they own and then renting it back from the new owner. For example, Bon-Ton Stores Inc, another retailer in financial distress, completed a similar deal last week, generating $18.9-million to pay down its debt. In an attempt to clinch the sale-leaseback deal, Toys "R" Us negotiated with a key group of creditors holding a portion of the company's $1-billion term loan, but accounting issues and a tight time frame prevented them from reaching an agreement, according to people familiar with the matter. Toys "R" Us also went to the bondholders of its international affiliates last month for financing it planned to use to fund its U.S. operations, but the terms offered were too expensive, the people said. At that point, Toys "R" Us decided to change tack and initiate preparations for a Chapter 11 filing in September, ahead of the quarterly earnings release on Sept. 26. News reports about the possible bankruptcy on Sept. 6 accelerated bankruptcy preparations, because suppliers to Toys "R" Us curbed their shipments, afraid they might not be repaid, according to the filings. In a sign of the company's haste, it filed for bankruptcy without a plan of reorganization or a deal with creditors, as is preferred in these circumstances. Toys "R" Us said it plans to keep its stores open through the bankruptcy process, though it remains unclear whether it can emerge from bankruptcy with most of its approximately 1,600 stores still open. On Tuesday, Toys "R" Us Inc received bankruptcy court permission to borrow more than $2-billion to start paying suppliers, so it can stock up on items like Lego building blocks and Barbie dolls for the holiday season. Private equity firms KKR & Co LP and Bain Capital LP, together with real estate investment trust Vornado Realty Trust , took Toys "R" Us private in 2005. On Monday, they all supported the company filing for bankruptcy, according to the sources. Suppliers and toymakers AROUND THE WORLD are experiencing financial trouble throughout the industry and are likely to lose millions of dollars as a result of the bankruptcy.